This workshop has been specifically developed for the Project Manager, Estimator or Site Supervisor who is a user of Microsoft Project software. The course demonstrates and allows you to put into practice advanced features of Microsoft Project to execute streamlined project tracking, management and cost control. If you've ever had to submit documentation at the close of a project for billing purposes or claims, you know how challenging it can be. Using advanced Microsoft Project features, you'll learn how to create 'As Builts' as you go along and reap the benefits of an improved project management process. This workshop will also show you how to enhance communication between managers, site workers and subcontractors; maintain meticulous records; accurately anticipate the effects of changes; use the advanced tools of MS Project to easily communicate these changes; and produce reports & graphs at the press of a button. Resource Management – Equipment, Subcontractors, Trades, Crews. Utilize Resource options to create 'Look-Ahead' reports and check lists for site supervisors, to facilitate better communications and project management. Advanced Microsoft Project for Construction is a powerful course that will show you how to plan, monitor and schedule projects using resources such as people, equipment, time and money. This course will provide you with the skills to effectively track and analyze projects with a better understanding of the impact of changes. Advanced Microsoft Project for Construction course is a two day workshop and Gold Seal certified, 2 credits. Note: If you are currently not a user of Microsoft Project software, we highly recommend you to take Intro to Microsoft Project for Construction in advance. 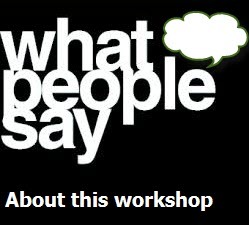 This 2-day hands-on workshop has maximum 12 seats available. For each participant in the course we provide a laptop with Microsoft Project software installed and a course manual.